Published April 8, 2018 at 541 × 410 in Banderas Bay to La Paz. 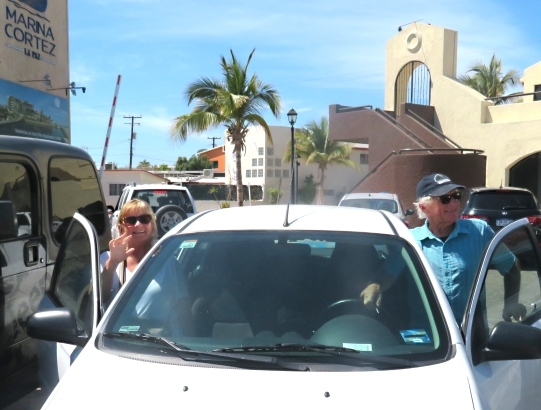 And they’re off’ Bob and Peggy rented a car in La Paz so they could explore as they traveled to the Los Cabos Airport. First stop Hotel California in Todo Santos. Bob’s recent driving experience in Jamaica fully prepared him for driving in Mexico.